With ProCel: Parallax users now have the ability to view their media in a whole new way all within Final Cut Pro X. With ProCel: Parallax each user has total control over angle of view, layer position, layer speed method, overall position animation, overall rotation animation, and more leaving room for infinite possibilities. ProCel: Parallax offers in and out animation, custom camera animations, text animations, and more. With ProCel: Parallax from Pixel Film Studios creating a celluloid effect has never been so fun and easy to do all within Final Cut Pro X. Each user has total control over individual layer position, position animation, rotation animation, and more leaving room for endless possibilities all with a click of a mouse. With ProCel: Parallax the possibilities are truly endless all with a click of a mouse. Each users has total control over angle of view, DOF blur, blur type, layer position, layer speed method, overall position, position speed method, overall rotation, rotation, speed method, transition time, and more all within Final Cut Pro X. With ProCel: Parallax users can create a customize animation of their own with a click of a mouse. ProCel: Parallax offers text animations, in animations, out animation, and animation presets that stay on the screen for as long as the user needs. With ProCel: Parallax custom camera presets each user has the ability to rotate and position their camera to any angle or position after beginning animation takes place. The possibilities are endless all within Final Cut Pro X.
ProCel: Parallax was professionally designed to work seamlessly inside of Final Cut Pro X. 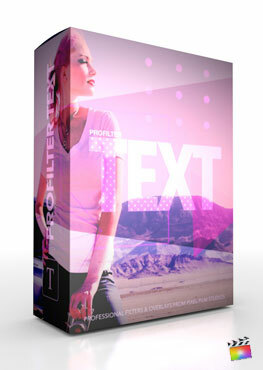 As a title effect, each ProCel: Parallax preset can be dragged and dropped onto media and previewed in real time. With the published parameters found in the FCPX inspector, users have the ability to make further adjustments with just a few clicks of a mouse. You may notice when using this plugin that all layers below it will be affected. Simply compound the plugin with the media you want to use it with. The tutorial above will show how to do this. How do I create the solid white background shown in the promo video? To create the solid white background effect please compound both the ProCel title layer effect with the media that it is being applied to. Once this has been done then select a solid white generator from FCPX's default generators and place it directly below the compound clip on your timeline.